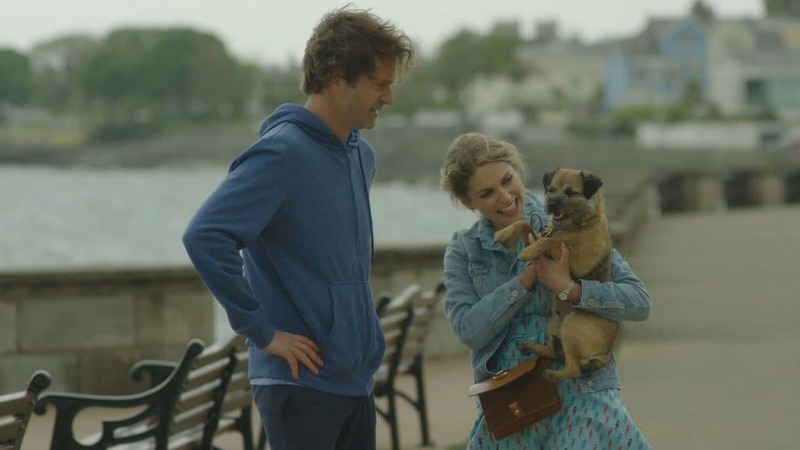 We recently had the chance to chat with Amy Huberman (Striking Out, Cold Feet) about her new show Finding Joy. Huberman not only stars in the comedy, she also wrote it. It's a big change from some of her previous roles, but it's one that seems to fit. In Finding Joy, we see a version of Huberman that's much more bubbly and likable, with just enough awkwardness and problems to keep it from being too much. At the beginning of Finding Joy, we see a young women distraught over a recent breakup, quickly thrown into career turmoil by a sudden change in her duties. On top of it, her dog has developed a habit of relieving himself in the most inconvenient places. While it would be wrong to say Joy takes it all in stride, she takes it on headfirst, with a delightful quirkiness that makes for great television. 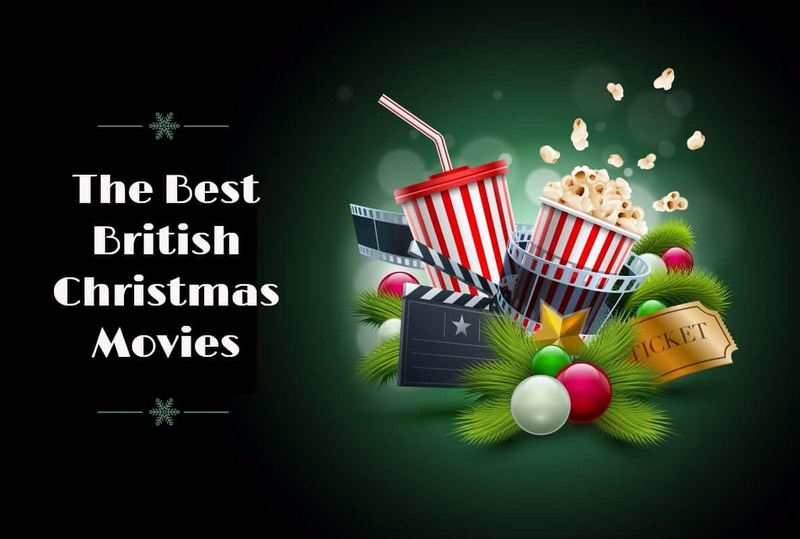 Finding Joy is a big departure from a lot of the heavy dramas and murder mysteries we often see coming out of the British Isles, but in a good way. The show has heart, and it delivers a fair bit of seaside scenery, too. It's tough to compare it to other shows, but it wouldn't be entirely inaccurate to say it's a bit like a cross between Miranda and Fleabag. It's not as awkward or over-the-top as Miranda, but it's also not as dark as Fleabag. As of today, you can watch all six episodes of Series 1 of Finding Joy on Acorn TV. If you aren't already an Acorn TV subscriber, you're missing out on one of the best values in British TV streaming. 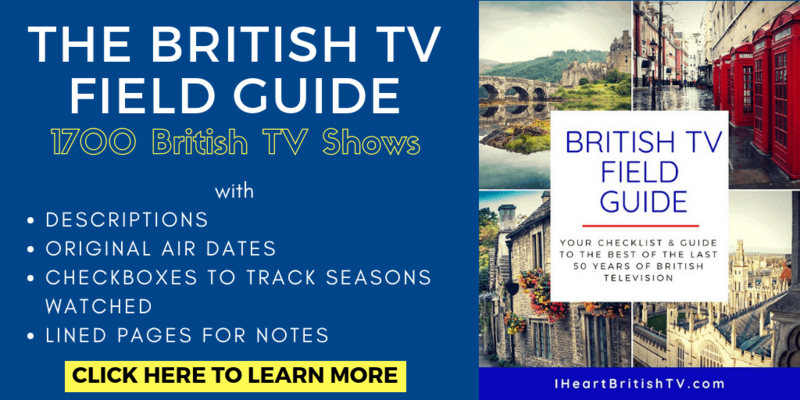 You can use the code IHEARTBRITISHTV to get a free 30-day trial (that's a full 21 days longer than the usual 7-day trial). Check it out HERE. Editor's Note: We went back over the transcription to make sure everything looked right, but if there's something that doesn't quite make sense, please do chalk that up to a bad cell signal or transcription error. We'd rather bring you an imperfect full transcript than just pull a few sentences and lose the whole personality and feel of an interview. Enjoy! In your own words, what is Finding Joy about? Oh my gosh, I think like this is the question number one on the exam, and I'm like, “Oh no. Hang on a second. Back to the basics.” Okay, I did the revision. I did the revision, I should know this. So finding joy is a series about looking at happiness. And how we weigh it in relation to how other people or our perception of how other people do happy and how they show happy. Is that a true reflection and I guess how in modern society, when we each have different ways of connecting with people on displaying our happiness, how that's kind of broken down and we need to, in a way, reconnect. And how do we do this when life is busy and fast and changing. And how do we grab the moment of happiness? And how do we maintain the joy and what does that mean? And I guess it's constantly evolving. And that was the premise of the show, I guess it was looking at happiness. And then it fit into a world to tell the story, we have joy. I guess when you're looking at her, she is somebody who … again when we were trying to figure out characters and who she was gonna be, not somebody who has this aspirational lifestyle, who is living hashtag goals and who has it all sorted out. I wanted her to be … I guess the part of all of us who feels like we're winging it, but not entirely sure what we're doing. And trying to figure out ourselves and what our happy is and how we look at personal growth. Or if we don't, is that okay? So I think … Did I answer that correctly? How has it been different going from acting roles to a combined writer slash actor role in this? God, it's so different. Every single stage was a journey with difference. I've written before, so I've written books before. It just felt like a completely different bubble that I was in 'cause it was a good few years ago now and they were like these little self contained … Like I said, like a little bubble. And I wrote this and then it goes into the world, and you're kinda done then. Whereas the journey of TV, you're isolated writing at times, then it's really collaborative at other times. I guess as an actor, you're only really involved in one chapter of it. Whereas with this, it's the infection of the idea, it's the starting writing, it's the networks getting involved, it's the edits, extend, pre-production, casting, filming and then post production and then the broadcast. So, that has been completely new to me. And as much as I thought I was prepared for it, the different elements came as a surprise to me. Surprised by Joy! That's a famous Irish poem. But I was surprised by Joy. I didn't think that I would love the filming of it as much 'cause I didn't think I'd be able to relax and let it be what it was gonna be. ‘Cause as much as you're protective of your show, it is a collaborative thing. You hand it over to a director, you hand it over to a crew, you hand the parts over to other actors and you have to allow them to breathe their life into it. So at the same time, kind of maintaining the tone and what you want the tone of a show to be. But we found our groove pretty easily and I was really lucky that I had a brilliant production team and that I had really great actors and it was a really happy set, that we played and that … well, I certainly enjoyed it. But you kind of, there's a fold off in the middle, which is normal and that's just your job as an actor. So this was … I learned a lot. I learned a lot about casting. I learned a lot about not to take it as personally, because there's so many moving parts and there are so many decisions that are made but I think, when you don't see the full picture, as an actor you kind of, “Oh god, maybe I wasn't good enough.” Or maybe, “Why couldn't I get that,” and when you're involved in the full side of the project, it's just, there's so many things that blows in the air and people that are available or the right fit or really good but somebody's done it a tiny bit differently and you get to see all that. And I've never seen that. So I learned a lot. But then as well, I think there's the weight of it falls on your shoulders more than I ever felt anything had before and so that was pretty scary. Not gonna lie. Even though I said the words and I'm like, yeah, when it's all cast, when it's a comedy as well, it will invariably divide opinion because people laugh at different things so … and as much as I said that, I'll never forget the first day of it being on and [inaudible] I was like, “Oh my god!” I've never felt like that before in another interview. I felt like my brain was streaking down the middle of our main street in Dublin. Like you've just exposed so much of the inner workings of your head on a plate. There you go. That's it. So, yeah. It was a strange time in my head when it was being broadcast but it was great, and I've loved it. I've loved it and I've learnt a lot through it but it's been a really fun, intense year, and thank god I've enjoyed the writing and the filming and all of that because … yeah. I feel really proud of it. What would you say is your biggest influence, who has been or what has been your biggest influence in creating Finding Joy? And so, I think being around really talented people who inspire me, and also getting encouragement from people was a really big turning point. Like Rebecca O'Flanagan, who is my producer and she is a co creator of this. She was a person who said you need to do this and we should do this and we should do it now. This happened a couple years ago, actually, when we were in Toronto for a film we had done together, The Stag, and even though I'd written the book it was like I'm not sure I know how to do it. There's always that voice that you're like well, what am I doing, what am i doing. But I think everything in my career is kind of based on this really tenuous environment where you're going, “Ooh, I don't know if I can do this or I should be doing this,” and all the self doubt you go through as an actor. But, I'm really glad that I sat down and did it. So I guess that that's the question. What inspires me is work that I feel moved by, that I laugh at, and it's through that work that I'm kind of going, “Okay. I want to tell a story and I hope it turns out.” And it feels a bit mad in its environment. It's a competitive market and I'm very hard on myself and I want something to work and work really well and then sometimes you look back and go, “Jeepers. In the space of that year, we wrote a TV series, had it made, and it's been on.” And I'm like wow! Okay! That happened. So, yeah. It felt really surreal. I still have difficulty filling out forms. When you're traveling, like profession. And I'm like, “Actor and Writer? I guess?” But you're not apologizing for it, as well, you're like, I'm gonna own this, I'm gonna own this… Until somebody tells you you're not allowed to do that anymore. I'll keep it up again until then. Without giving away too many major plot points or spoilers, is there a scene that you're most proud of in this first season? In the first season? Oh, la, la, la, la, la. I was pretty proud of myself, that I have abseiled (US readers: abseiling = rappelling) off the roof of the Aviva Stadium, but that was just a personal thing, where I was like, “I can do this!” But it felt like a real metaphorical jump. I felt like I … me, that was me, that was Amy kind of jumping off the platform and into the unknown and doing this and going, “Oh listen, lads. We're not here for a long time. Let's just go.” It's like, what's the worst that can happen? And so, for me, the comedy I love is comedy that's got a heart. So I love when the heart moments land and I think Episode Four is possibly my favorite? Because I think Julia's so out of her comfort zone and it's such a wild episode. I don't know if you've seen any, David. Or I don't know if you've seen many. Okay. So, yeah, Episode Four is possibly my favorite one. I'm just trying to think of a scene in that. I think that whole episode just kind of sat with me as it … I'm proud of a lot of it, but this is hard, actually. Jeepers! It's like choosing a child, I'm like, what a thing. God, well without spoilers. I guess, not with spoilers maybe we could say the abseiling one. But I do love Episode Four. I'm kind of quite attached to Episode Four. I do love them all, but maybe that's just my favorite child. So, say someone came to you and said, we want to remake Finding Joy but with a cast of pensioners. Who would you want to play the old you? Oh my god! Okay. Hang on a second. Who would I want to play the old me? I'm at risk of really insulting somebody now, as well. And saying they're old. Let me have a think. Who do I want to play pensioner Joy? Who would I pick, it would be, god, let me think now. Oh, geez. Well she's not old, can I say … older. Judi Dench. Just because she's got such a wicked sense of humor. But like, that's not to say that I think that's she … Judi Dench should be…Finding Joy. And also, she's not a pensioner. I'm gonna reword that and say that she's just an older actress. An older than me actress. That's fair, isn't it? She's just got such a great way of playing with comedy and drama, I think. Do you know? Yeah, yeah. There's so many actually and it will all come to me afterwards but that's the one that's popping into my mind. Jane Fonda! Jane Fonda. But she's far too glamorous, wouldn't she be? Jane Fonda, if Joy was wearing amazing jumpsuits and [inaudible] looks like that I just … Jane Fonda's such an amazing comedic actress. So she would be pretty good actually, wouldn't she? Let's call our people and get casting onto Jane. There we go, we've got it sorted. So what's next for you now that you've written and starred in your own show? Do you have ideas or plans for the second season? Yeah. Hopefully we will get to do the second season but, I'm going to, as I was saying to Sarah [inaudible], I'm gonna send my brain to a metaphorical spa break. So it can go and relax for a little while because it was definitely exercised quite a lot. So, the way I write is, I think about things, at times, but I'm pretty much an in the moment writer, so I would kind of … I shut the tap off a little bit when I'm not writing or else … I think you kind of need to let the tank refill a little bit? To go at it again. So I'm going to take the rest of the year off to just, I guess, be and not think about it and kind of hopefully in the background recharge the batteries a little bit. And then hopefully, come January, I will be inundated with ideas. When I sit down and…'gulp'. Thank you very much. We really appreciate you taking the time to do this. No, thanks a million as well, David, for chatting to me. And, yes. That was a lovely chat. Thank you so much. As of today, you can stream Finding Joy on Acorn TV. The first season is made up of six half-hour episodes, and with any luck, maybe we'll see a second season in the not-too-distant future! 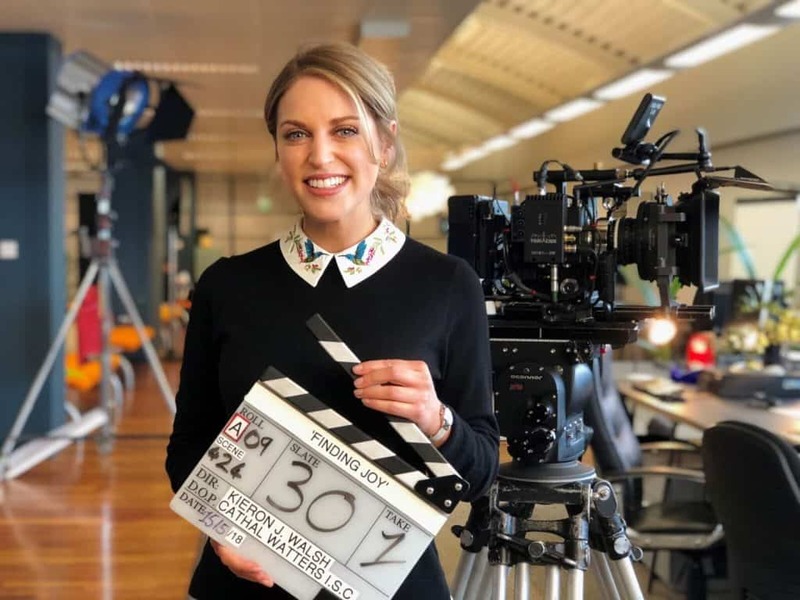 Thanks again to Amy Huberman and Acorn TV for taking the time to arrange this interview.